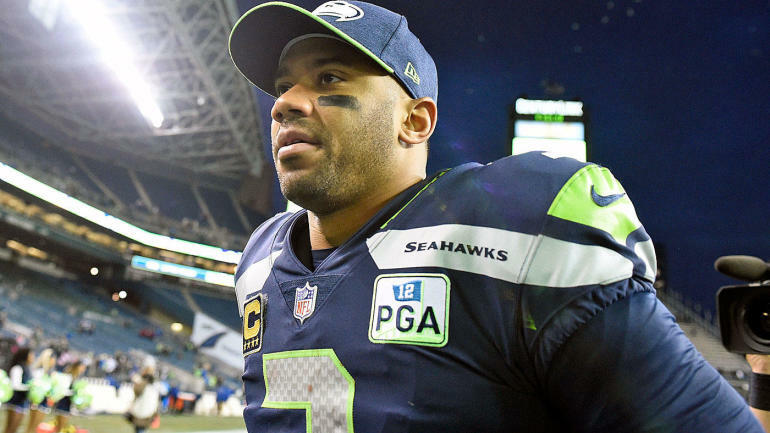 The deadline for the Seattle Seahawks to reach an agreement with Russell Wilson on a new contract is less than 24 hours away, as of this writing. Of course, the deadline is one that was set by Wilson himself and not be the league or the team, so it’s possible that it can be broken. But that’s what Wilson wants. The relative unlikelihood of such a deal being reached has led to speculation about the quarterback’s future in Seattle. Former Raiders coach Jack Del Rio made a prediction earlier this week that Wilson would be playing elsewhere next season. And he’s not the only one who thinks Wilson might be on his way out the door. Wilson’s longtime NFC West rival Tyrann Mathieu, formerly of the Cardinals and now with the Chiefs, thinks Wilson has a specific destination in mind. It’s not the first time that New York has come up as a potential landing spot for Wilson. He was asked about the situation during an appearance on “The Tonight Show Starring Jimmy Fallon” back in March, and specifically about the Giants rumors. The Seahawks would seemingly be crazy to trade Wilson, but crazier things have certainly happened in the NFL. We’ll have to see what happens after his deadline passes on April 15. Mike Florio of Pro Football Talk is reporting per a league source, that the Seahawks think that Wilson would like to play elsewhere, even if he hasn’t and wouldn’t ever say it. They also believe that this unspoken dynamic will cause Wilson to drive a harder bargain with them than he would with another team. Regardless of whether or not the Seahawks and Wilson reach a deal, Bob Condotta of the Seattle Times reports, he is expected to show up for the team’s workouts on Monday, which is the same day as his deadline.